This is how Dodgers wins are supposed to be. Saturday night, perfect night in Los Angeles. Full crowd at Chavez Ravine. Game on MLB Network against a big-time opponent. The Dodgers again beat Stephen Strasburg – just as they did my greatest day at the ballpark. Hyun-Jin Ryu was so very good. He allowed just two hits on the night and got the game to the bullpen. Kenley Jansen came into the game looking like his old self after the Dodgers had built a 4-0 lead. He was pumping 93-96 MPH gas, and sawed off Bryce Harper for an out. On Cody Bellinger Bobblehead Night, he hit his 3rd home run of the season late in the game. It was the 42nd of his career. This was a really good game. 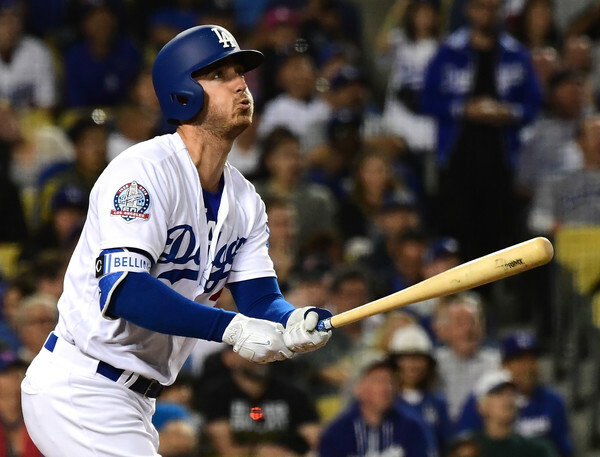 The Dodgers aren’t back to the .500 mark just yet at 9-10, but they’ll gun for it on ESPN’s Sunday Night Baseball tomorrow night with Alex Wood on the hill. In the land of the Vanderpumps, tonight was a good night.